A mentored choreographic residency bringing together the creative forces of two distinct alternate forms from the broadest scope of contemporary dance. 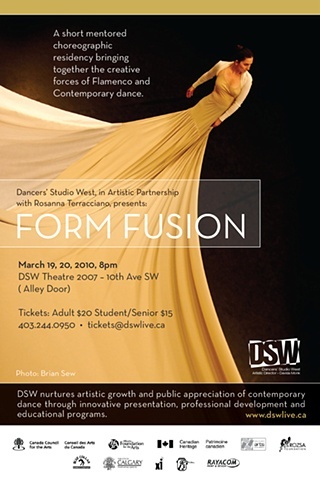 Presented by Dancers' Studio West as part of their 2009/2010 season. Created with the support of the Canada Council for the Arts Creative Development Initiative and Dancers' Studio West.